RMMRU is an organisation filled with dedicated individuals all working towards a common goal of better governance and services in the migration sector. Below is a list of our wonderful team! 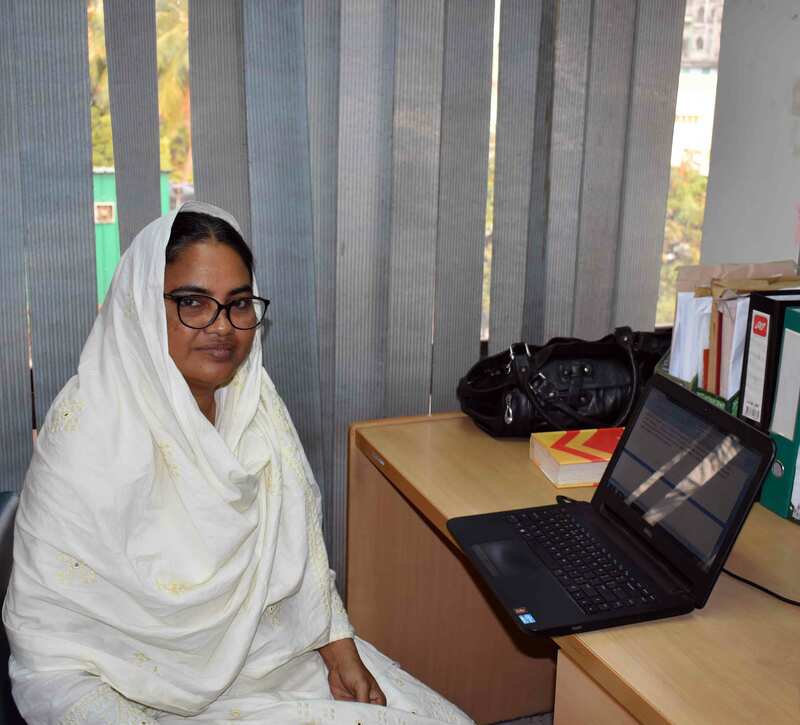 Tasneem Siddiqui is Professor of Political Science and Chair of the Refugee and Migrating Movements Research Unit (RMMRU) of the University of Dhaka. She received her PhD from Griffith University, Australia. Her research interest includes, Drivers and impact of labour migration, Remittance and Climate change adaptation and Migration. Her recent co-authored publications includes ‘Adaptation to Climate Change in Bangladesh: Migration, The Missing Link’ (2014) Edward Elgar Publishing Ltd, Climate-related migration in rural Bangladesh: a behavioural model. Population and Environment, 2014, Impact of Arab Spring on Migrants: The case of Bangladeshi returnees from Libya, BILIA, 2014. She was one of the key members that drafted the National “Overseas Employment Policy” of Bangladesh; and “Overseas Employment and Migration act 2013”. 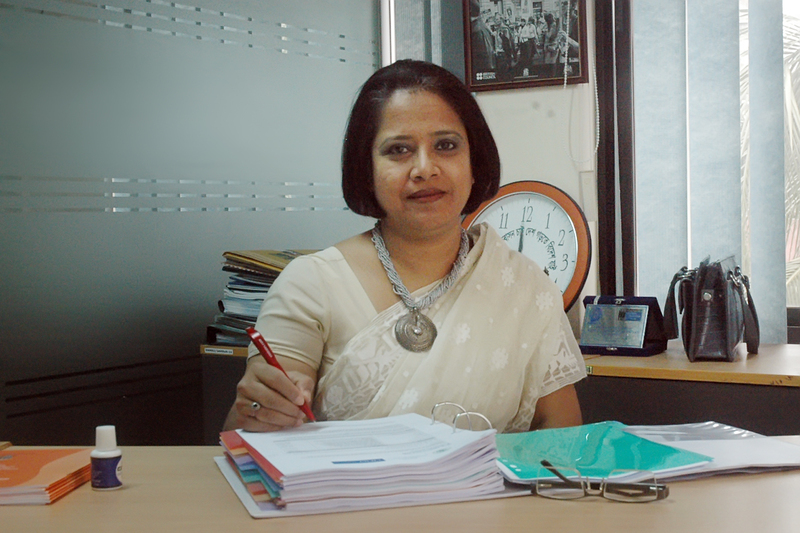 In the past she served as chair of the Asia Pacific Migration Research Network (APMRN), South Asia Migration Resource Network (SAMREN) and also served as one of the directors of Migrant Welfare Bank of Bangladesh. Marina Sultana is leading programme of RMMRU as Director Programme. She is specialized in field intervention and action research using different tools for safe migration and migrants’ rights. She has 20 years of professional experience and high profile of expertise in the fields of policy and media advocacy, capacity building, awareness campaign, etc. Her areas of interest are migrant’s rights, women's rights, and rights of ethnic and marginalized group etc. She plays key role in programme planning, implementation as well as organizing RMMRU’s public events like conference, seminars, festivals, etc and developing partnership with international, national migrant stakeholders. Moreover she develops training module for governmental and non-governmental bodies, male and female migrants etc. Apart from these activities she develops materials, proposals, reports etc. She is currently leading the FLM project of PROKAS Programme. 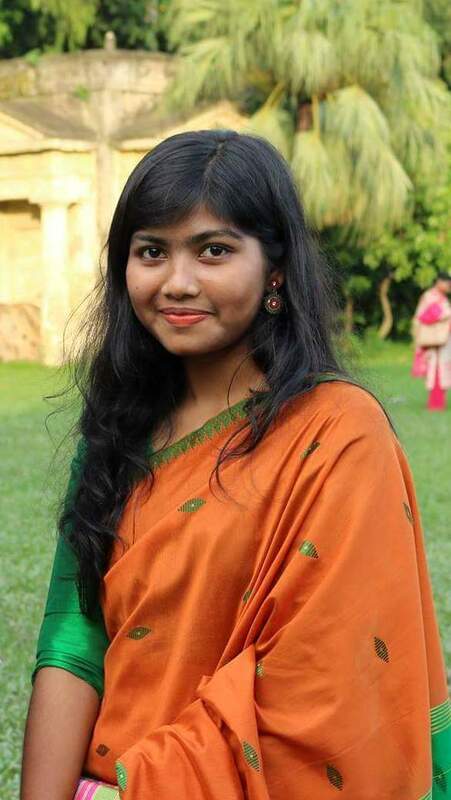 She has completed her Honours and Masters in Zoology from University of Rajshahi. Mr. Mitra is responsible for overall management, administrative affairs and implementation of organisation’s policies. Provide inputs to the senior management team in the areas of Finance, Management, Administration, Human Resources etc. Mr. Mitra started his career as a Human Resource Officer in a reputed Pharmaceutical Company. He joined in RMMRU as an Asst. Administrative Officer on May 2009. He did his Masters from Bangladesh Agricultural University. He also completed MBA from Bangladesh Open University. He received a specialize training on Personnel Management from Bangladesh Institute of Management (BIM). 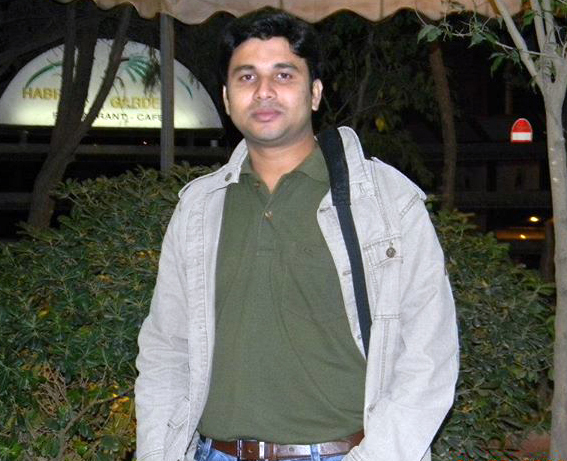 Mr. Mahmudol Hasan Rocky is working as Research Coordinator and team leader of a field Research group at RMMRU. He is the key person to process and analyze the data by using SPSS software. He is also involved in report writing, questionnaire designing, training, monitoring field work etc. He worked in the research project on “Climate Change Related Migration” “Impact of Labour Migration to the Construction Sector on Poverty” “Cross-border Movement of the Rohingyas Burma” “Migrating out of Poverty” “Impact of Migration on Poverty and Development (IMPD)” “International Centre for Integrated Mountain Development” “Climate Change Adaptation in Urban Areas of Bangladesh”. He is currently involved in the ongoing research project on “DEltas, vulnerability and Climate Change: Migration and Adaptation (DECCMA)”, “Impact of Migration on Poverty and Local Development (IMPD-2)”, “Social Cost of Migration on Families Left Behind” and also “Safe and Sustainable cities: Human Security, Migration and Well being”. The main responsibility of Parvez Alam is to maintain the RMMRU Core Network, Data Server and ERP system. Alam develops and maintains the RMMRU websites and the official pages of different social Medias about RMMRU. He designs all the Policy Briefs, Working Papers and Migration Trends Reports. He assists the RMMRU research team in making all kind of field survey question papers. He is also the information officer of RMMRU. A Fact-Finding mission of Forum-Asia about Rohingya refugee issue which was held in Bangladesh on March 2018, was coordinated by him. He is a Human Rights Defenders and a Blogger in his personal life as he is working with Human Rights and blogging since 9 years. 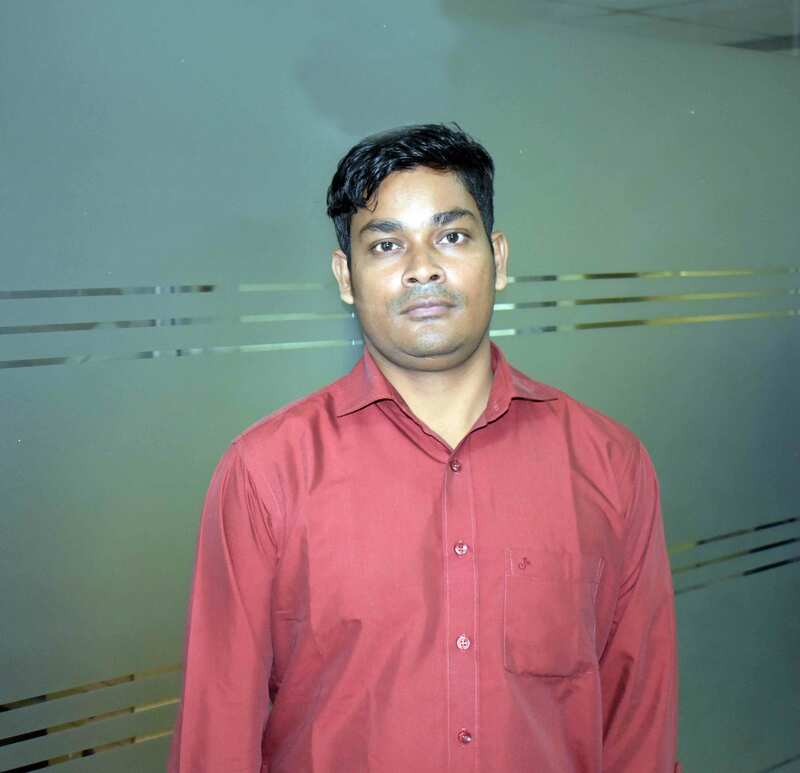 Mr. Alam has a post-graduate degree in Computer Science and Engineering from the Bangladesh Institutes of Science and Technology and he completes Cisco Certified Network Associate (CCNA) from the American International University-Bangladesh (AIUB). 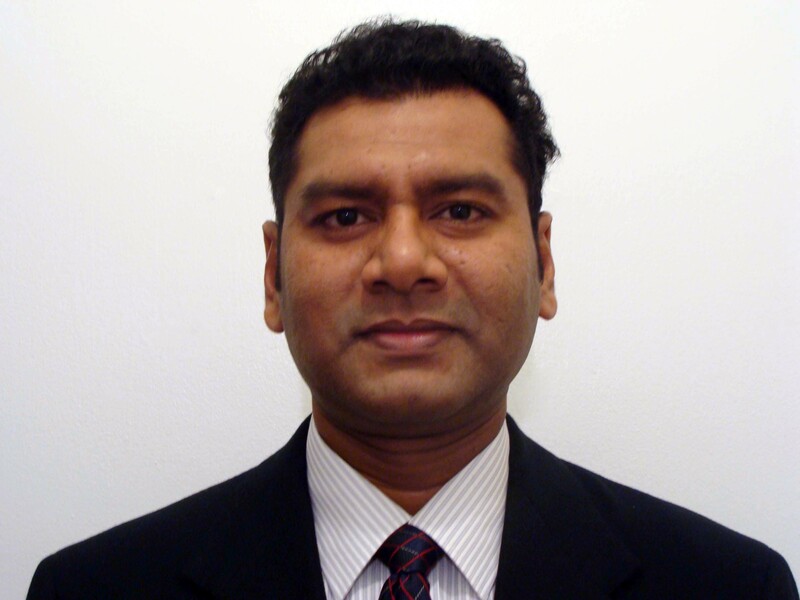 Mr. Musabbir Hossen has joined Refugee and Migratory Movements Research Unit (RMMRU) as an Accounts Officer. He completed his Master of Business Studies (M.B.S.) from National University and also completed three years Chartered Accountancy Course under the Institute of Chartered Accountants of Bangladesh from S. R. Bose & Co. Chartered Accountants. Mr. Hossen prepare and maintains all kinds of vouchers, cash book, bank book, general ledger, and different registers related to Finance and Accounts and also assist to Finance & Accounts Coordinator for overall financial management of the organisation. 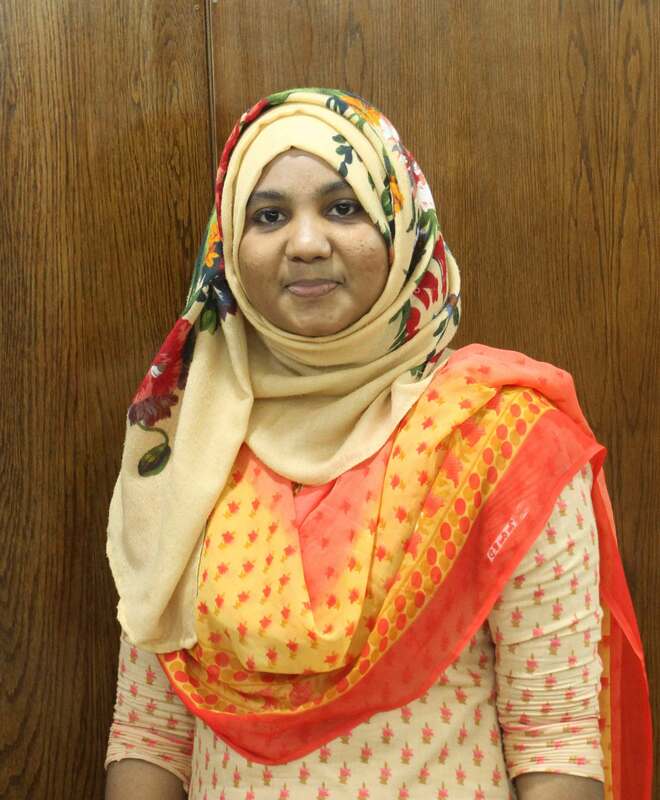 Syeda Rozana Rashid teaches International Relations at the University of Dhaka, Bangladesh. She was educated in Dhaka, Oxford and Sussex. She obtained her Ph.D in Migration Studies from the University of Sussex, UK and MSC in Forced Migration from Refugee Studies Centre, University of Oxford. Her research areas include forced and voluntary migration, gender, social protection and livelihoods. She has published a number of books, modules and journal articles at home and abroad. 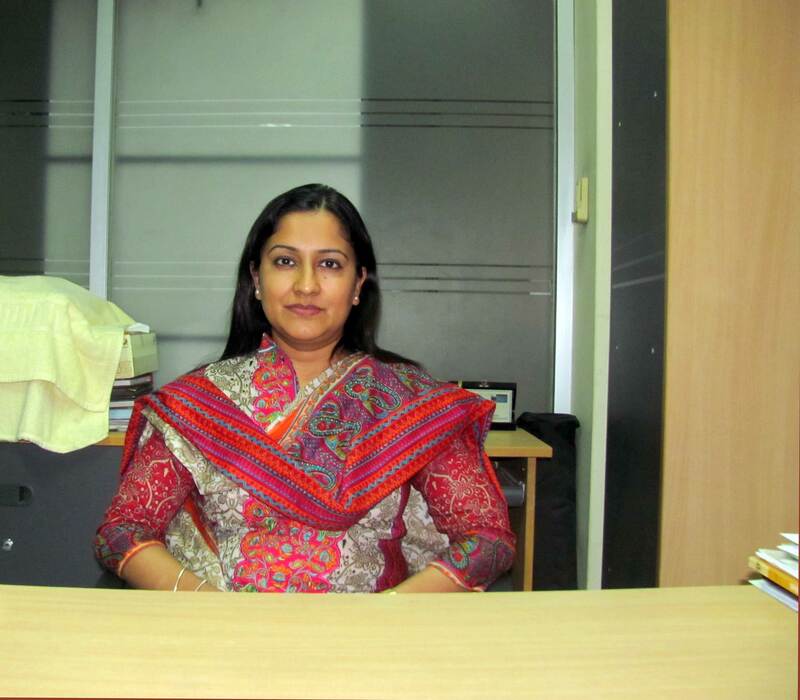 Syeda Rozana Rashid has been involved with RMMRU for the last fifteen years in different capacities, i.e. research associate, programme coordinator and more recently, as a member of the RMMRU Executive Committee. Currently, she is also leading RMMRU's RPC project under the cluster of Household Dynamics of Remittances. A.S.M. 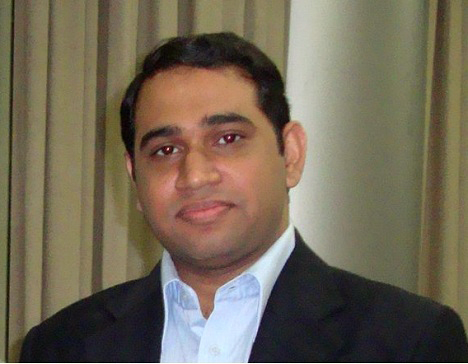 Ali Ashraf is Associate Professor of International Relations at the University of Dhaka, Bangladesh. His teaching and research interests are broadly in the fields of international security, human rights, migration, and geopolitics. Ashraf holds a Ph.D. in public and international affairs from the University of Pittsburgh, USA. He is currently a member of the International Institute of Strategic Studies (IISS), London. He can be contacted at aliashraf79@gmail.com. 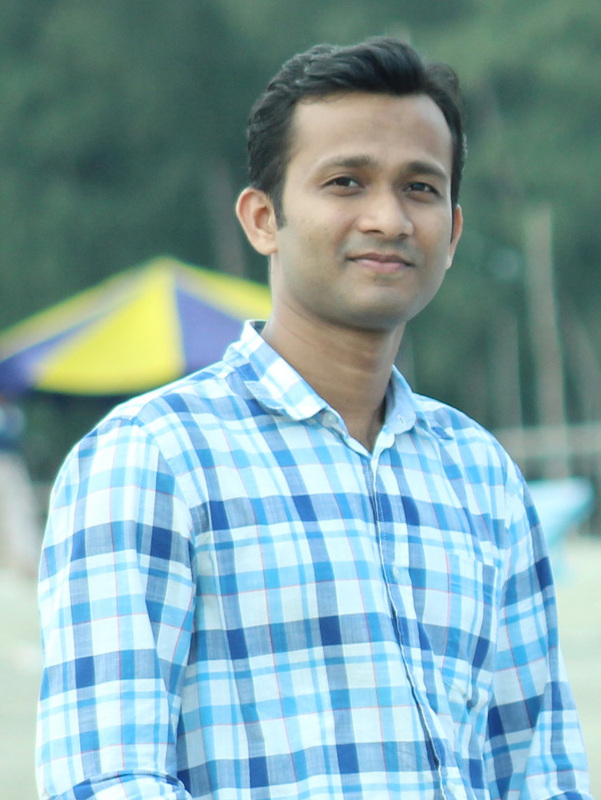 Mohammad Jalal Uddin Sikder, MA (Dhaka), MA (Leeds, UK) and PhD (Monash University, Melbourne, Australia) has joined ULAB as Assistant Professor.He teaches introduction to Sociology, Principle of Development Studies and Bangladesh Studies. Sikder also serves as Senior Research Associate with the Refugee and Migratory Movements Research Unit (RMMRU), University of Dhaka, Bangladesh. 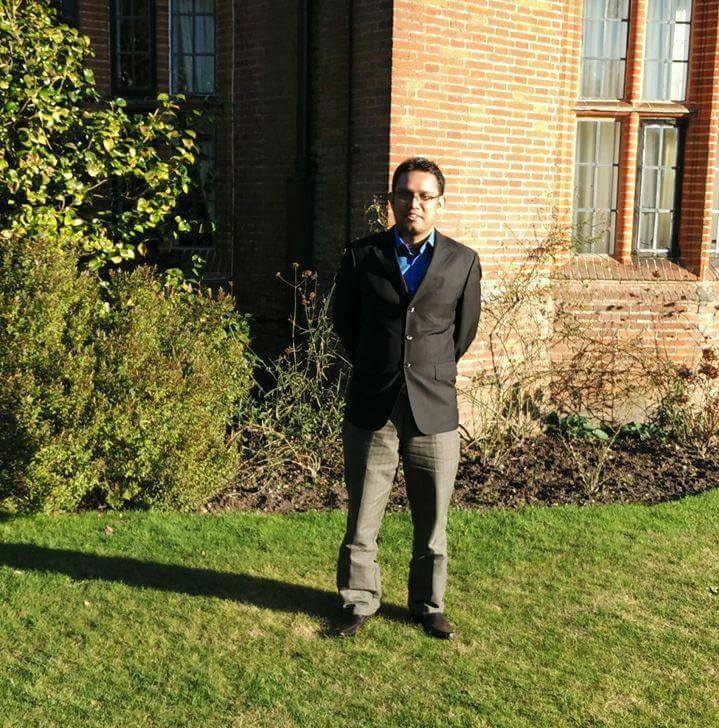 Working as Senior Research Associate at RMMRU, he has published several articles in reputed international journal and books on migration, remittances and development and was involved in a number of studies under the DRC on Migration, University of Sussex, UK. Sikder was a recipient of the NTS-Asia Research Fellowship from Nanyang Technological University, Singapore and and presented papers in national and international workshops, conferences and seminars in Australia, Bangladesh, England, India, Spain, South Africa,Sri Lanka, South Korea, the Philippines and the United States. He has expertise in ethnographic longitudinal studies using a mix of methods from standardised surveys, in-depth interviews, focus group discussions, participatory observations and case studies. 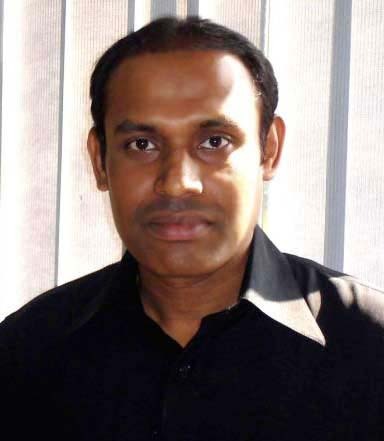 Mirza Taslima Sultana is an Associate Professor of Anthropology of Jahangirnagar University. She was awarded PhD in Gender and Women Studies from Lancaster University, United Kingdom. Her research interests are gender and sexuality studies, studying the dominant structure/institutions in both health and the status of labourers in formal and informal sectors, also her interest in studying genre of popular culture and its relationship with the media. A numbers of her academic articles were published in national and international journals. Her book, চিকিৎসা বিজ্ঞানের অধীনে নারী শরীরঃ ভিন্ন ভিন্ন শ্রেণির অভিজ্ঞতা (Women’s Body Subjected under Medical Science: Experiences from different Classes), was published by University Press Limited, 2007; and her booklet, নারীর বিরুদ্ধে সহিংসতা: নারীবাদী দর্শনের সাম্প্রতিক সঙ্কট ও উত্তরণ ভাবনা (Violence against women: contemporary dilemma in Feminist philosophy and search for the ways out) in প্রবল ও প্রান্তিক series 1, was Published by Public Nibriggayan October 2011. Apart from academic writings, occasionally she contributes in national Daily on burning socio-political issues, e.g., deprived garment worker’s agitation, religion and political identity, governance and democracy etc. She is a member of the Public Nribiggayan, which is a collective of Anthropologist, generates public debates outside the academic arena by publishing book series, organizing public lectures and workshops. 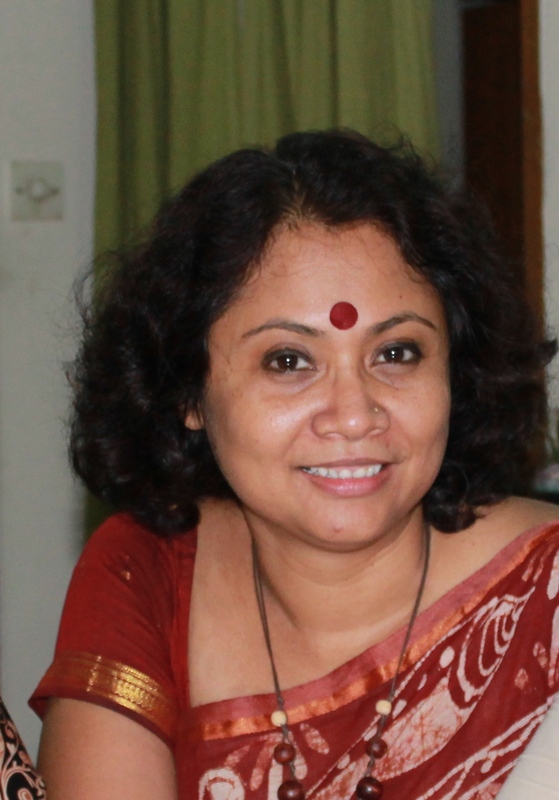 Fhamida Yasminis a lecturer, Department of Women and Gender Studies, University of Dhaka. Currently she is pursuing PhD in Sociology at the Centre for the Studies of Social Systems, School of Social Sciences in Jawaharlal Nehru University, New Delhi. 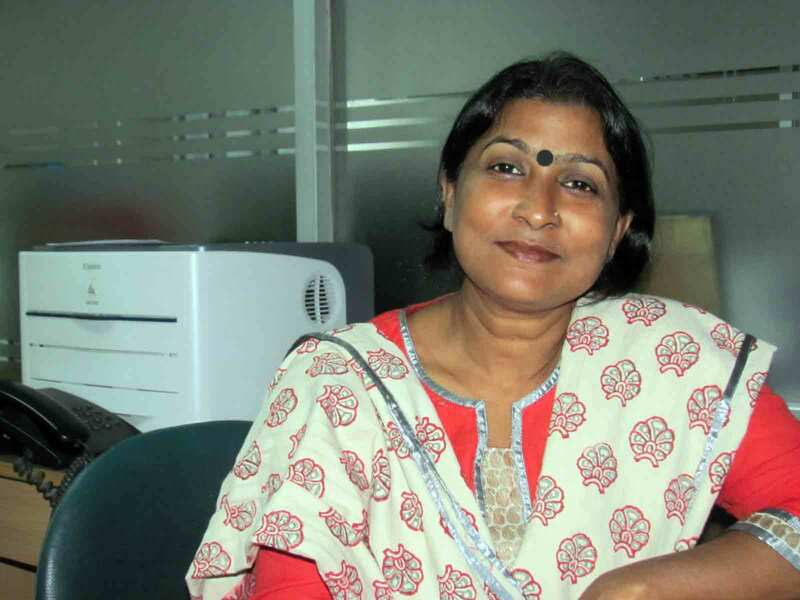 She obtained BSS and MSS degrees in Women and Gender Studies, University of Dhaka. Ms.Yasmin has conducted research on gender aspects of labour migration policy of Bangladesh, violence against Bangladeshi Hindu women and Hindu Marriage Act, Dalit in Bangladesh. Her research interest includes migration and gender, policy tracing, environment and gender, human rights and marginalised community, violence against women and feminism in third world countries. Kazi Nurmohammad Hossainul Haque is a development researcher and policy analyst based in South Asia. 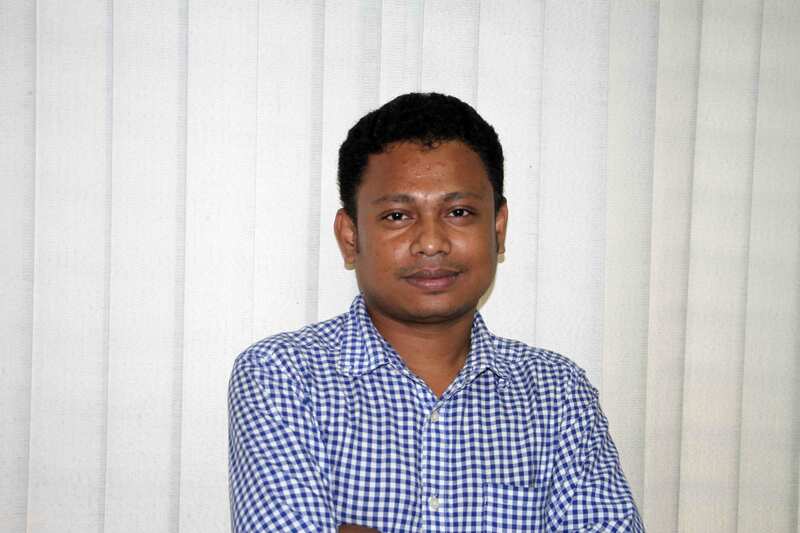 He is currently working as Advisor-National Development Strategy with Action Aid Bangladesh. He is also a visiting research fellow of RMMRU. His research interests are migration, diaspora, civil society, citizen participation, and, urban/environmental governance. 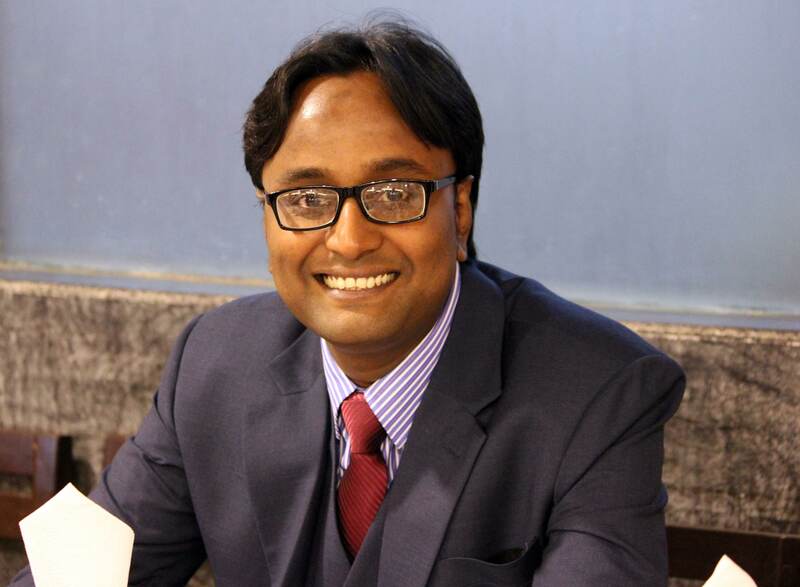 He has MA in Development Studies (ISS, The Hague), MA in Public Policy (CEU, Budapest) and BSS in International Relations (University of Dhaka). Some of his publications are: Diaspora Engagement in Local Politics of Bangladesh, in Md Mizanur Rahman and Tan Tai Yong (eds) International Migration and Development in South Asia, Singapore: Routledge (2015); Participatory Environmental Governance and Climate Change Adaptation: Mainstreaming of Tidal River Management in South-West Bangladesh, in Huong Ha ed. Land and Disaster Management Strategies in Asia, New Delhi: Springer (2015); and, Work Condition of Bangladeshi Factory Workers in the Middle East, Dhaka: RMMRU (2004). Rabeya Nasrin is working as a Programme Officer at RMMRU under PROKAS Programme, British Council. Her main responsibilities are implementing project plan, coordinating field activities, supporting to monitor project activities, networking and maintaining liaison with stakeholders including MoEWOE, BMET, WEWB, DEMO,TTC and so on. As a project team member, she is responsible for organizing national conference, workshop, seminar, dialogue, training, meeting and others. She is involved in developing project materials, documentation, report writing etc. Apart from the mentioned activities she is also assigned for documentation of fraud cases and pursuing for redress and legal support. She is also one of the members of RMMRU trainer pool. 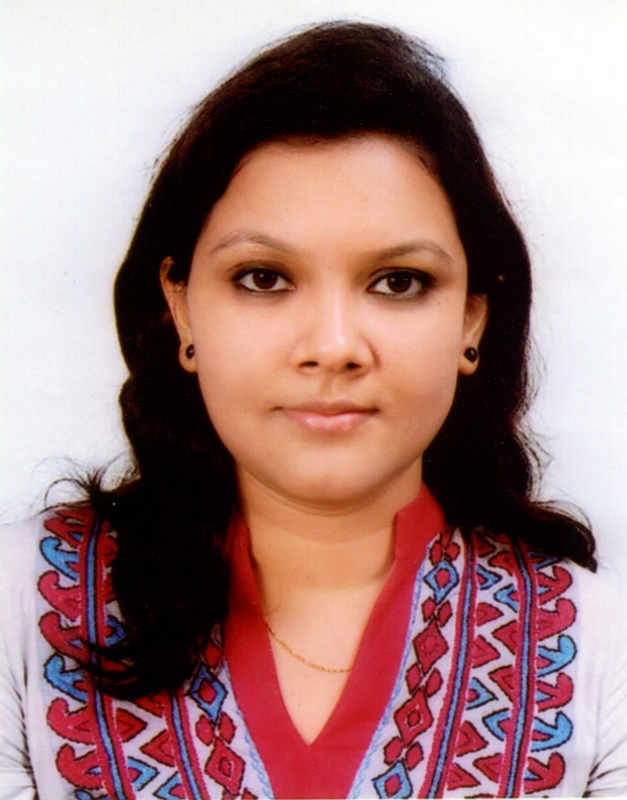 She has completed her BSS and MSS from the Department of International Relations, University of Dhaka. Now she is an M.Phil researcher of same department. Her main areas of interest are labour migration, gender issues, human rights and social development. 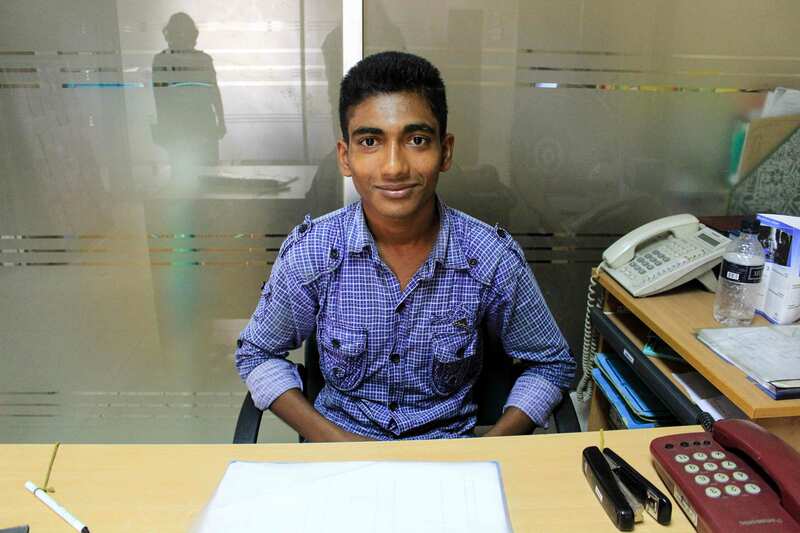 Hossain Mohammad Fazle Jahid, is currently working as a Programme Officer (Legal Support) in RMMRU. His core focusing areas are to assist in reviewing the documents on legal issues, manage data on complaint issues and proper documentation of cases for legal process. His key role is to provide legal assistance to the victims, pursue and communicate with government agencies and other stakeholders to manage cases. Mr. Jahid comes from a Law background with LLB & LLM. He has received another master’s degree in Criminology and Criminal Justice from University of Dhaka. His areas of interest include Migration Laws, Human Rights and Alternative Dispute Resolution. 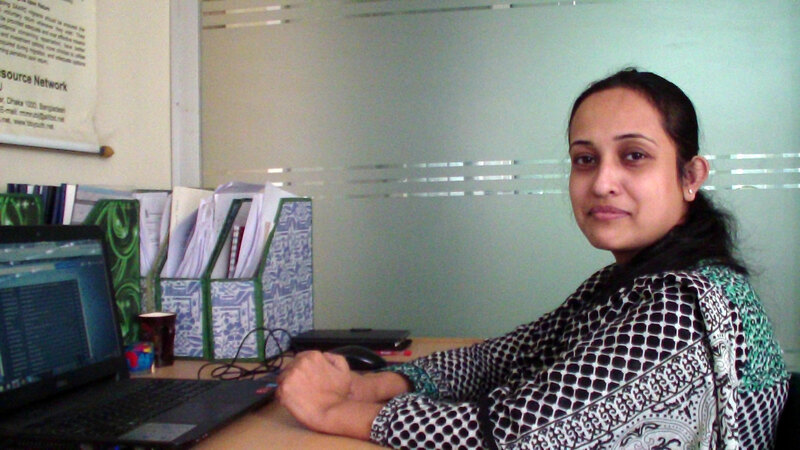 Nazma Akhter is working as a Field Coordinator at RMMRU. Her main responsibilities are monitoring the implementation of project plan, coordinating field activities, supporting to monitor project activities, networking and maintaining liaison with RMMRU Head Office, DC Office, Bar Association, Demo Office, TTC, Welfare Office, Upozila Office & other Government and Non Government Organizations. As a team leader, she is responsible for monitoring of local conferences, workshops, seminars, dialogues, trainings, meetings and others. She is involved in implementation of project materials, documentation, report writing etc. She has been working for safe migration for more than 12 years. She has vast experience of 30 years at filed level. Her main areas of interest are Human rights and social development.Resolution. Mr. Ayub Ali is working as a Programme officer at RMMRU. He is responsible monitoring case collection process from the field level and documentation. His other responsibilities are monitoring and arranging of mediations, Courtyard meetings, counseling, Advisory meetings, trainings, workshops and so on. As a team member, he is responsible for communication with Government & Non Government Organizations. Besides this, he is responsible for all sorts of accounts work in Tangail. His main area of interest is labour migration. 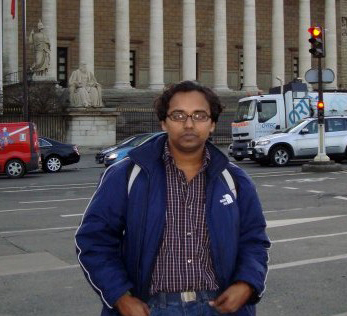 Rokon Mallick is working as a Programme Officer at RMMRU under PROKAS, British Council. His main responsibilities are arranging monthly meetings, mediation, courtyard meetings, counseling, advisory meetings, training and workshops and coordinating with GMC, Youth Volunteer Group and CGMS. As a project team member, he is responsible for communication with DC Office, Bar Association, Demo Office, TTC, Welfare, Upozila Office & other related Government & Non-Government Organizations. He is involved in case collection & documentation. Mr. Mohammad Towheedul Islam is Assistant Professor in the Department of International Relations at the University of Dhaka. 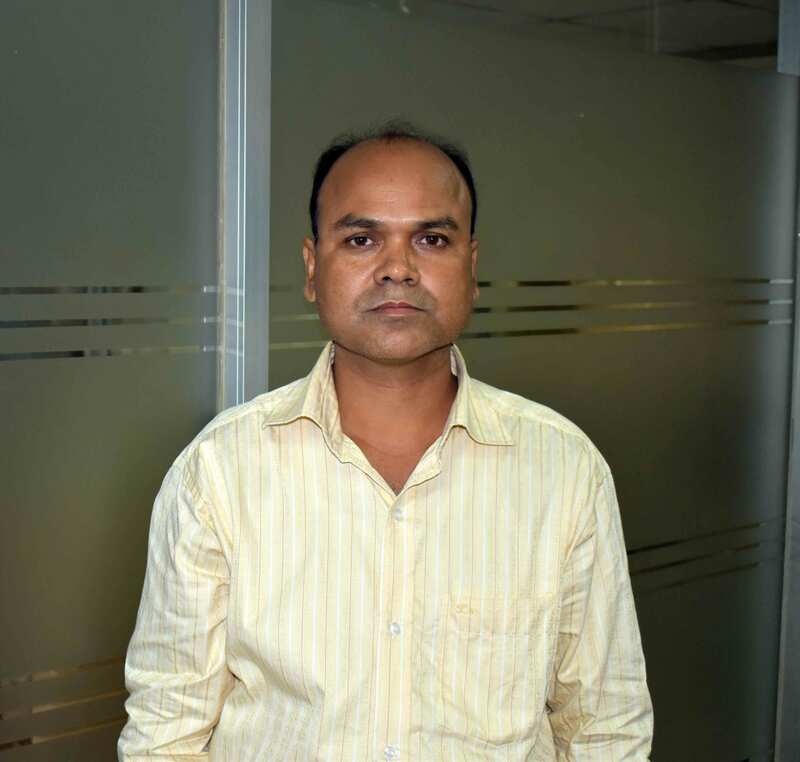 At RMMRU, Mr. Islam has been involved with research on climate change adaptation in Bangladesh under the “Deltas, Vulnerability and Climate Change: Migration and Adaptation” (DECCMA) project. Mr. Islam received an MA in International Environmental Policy from the Monterey Institute of International Studies, California in 2012. He also received his BSS and MSS degrees in International Relations from the University of Dhaka. His teaching and research interests include climate change adaptation, migration and development. Mr. Islam has a number of research papers, briefing papers and journal articles on human rights, climate change and migration to his credit. Mohammad Rashed Alam Bhuiyan is a lecturer of Political Science, University of Dhaka and part time research fellow of RMMRU. He obtained his Bachelor and Masters degree with outstanding results (1st position in first class) and (3rd position in the first class) from the department of Political Science, University of Dhaka. Earlier he served RMMRU as a Field Coordinator, Project Manager, Research Associate and Senior Programme Officer (Media & Policy Advocacy) in several research projects. He played protagonist role in Television for Environment (tve) produced documentary ‘LIVING ON THE GO’ accessible at YouTube. Mr. Bhuiyan writes extensively on climate change related migration as well as other forms of internal and international migration related issues of Bangladesh. He is also co-author of a paper on ‘Recruitment practices in Bangladesh and protection of migrant workers’ rights’ (International Labour Office, forthcoming). He has also written on the ‘Impact of globalisation and the state’s ability to control the market: Bangladesh perspective (in Bengali)’ (in Bangladesh Unnayan Samikkhya (BUS), a journal of the Bangladesh Institute of Development Studies (BIDS), February 2011). He has also written several Policy Briefing Papers as a co-author. Most recent ones are Policy Briefing Paper No.6; ‘Migration-from threat of climate change to Climate change to adaptation tool: Policy Choices for development partners of Bangladesh’ and Policy Briefing Paper No.7; ‘Transforming Challenges into Part of Solution: Climate-Change Related Migration in Bangladesh’ (published as an output of RMMRU-SCMR’ research on Climate Change related Migration in Bangladesh). Ashraka is the secretary for Dr. Tasneem Siddiqui. She is responsible for organizing travel and accommodation for RMMRU chairs and providing support at important meetings and conferences. She provides secretarial assistance for RMMRU Chair, such as scheduling appointments, preparing documents, briefing papers, reports and presentations. Ashraka acts as a liaison with the University of Dhaka, governmental and non-governmental organizations, policy makers and stake holders. Her favourite place to visit in Bangladesh is Sylhet. Motasim Billah works as Research fellow at RMMRU. His engagement with RMMRU is intermittent in nature. He graduated in Climate Change and Development from the Institute of Development Studies, University of Sussex, UK. Prior to that, he finished his Bachelors and Masters in International Relations, University of Dhaka. His areas of interest are climate change, migration and resilience. Motasim worked as a full time researcher at RMMRU in different collaborative research projects in partnership with the University of Sussex between the periods of 2008-2012. Some of his research works are published as journal article and book chapter by internationally reputed publishing houses e.g Edward Elger, Spring etc. He has first-hand experience of policy analysis and research-based policy advocacy campaigns. He represented RMMRU in several inter-ministerial committees in Bangladesh and regional consultative processes in Asia Pacific on migrant workers’ rights protection. Motasim was a Chevening Fellow of UK Government in 2012. 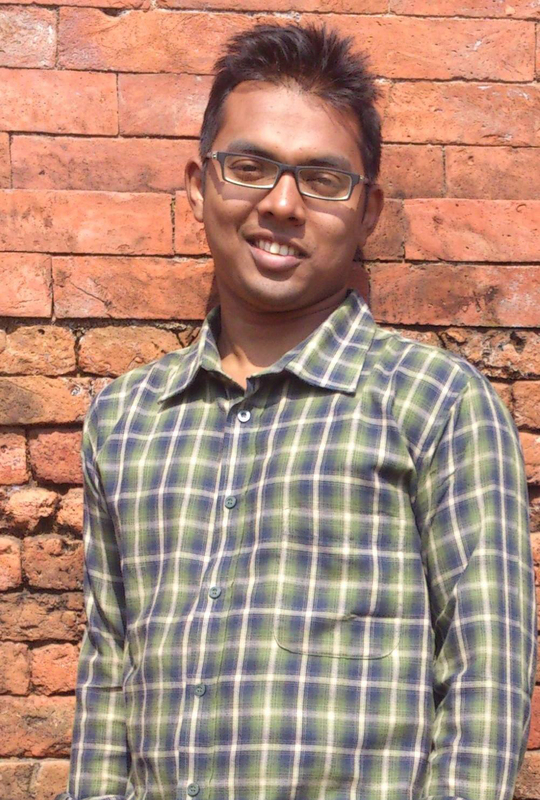 He is the Climate Leader in Bangladesh of the Climate Reality Project, Washington D.C.
Anas Ansar, is currently working as a Junior Co-Researcher at RMMRU. 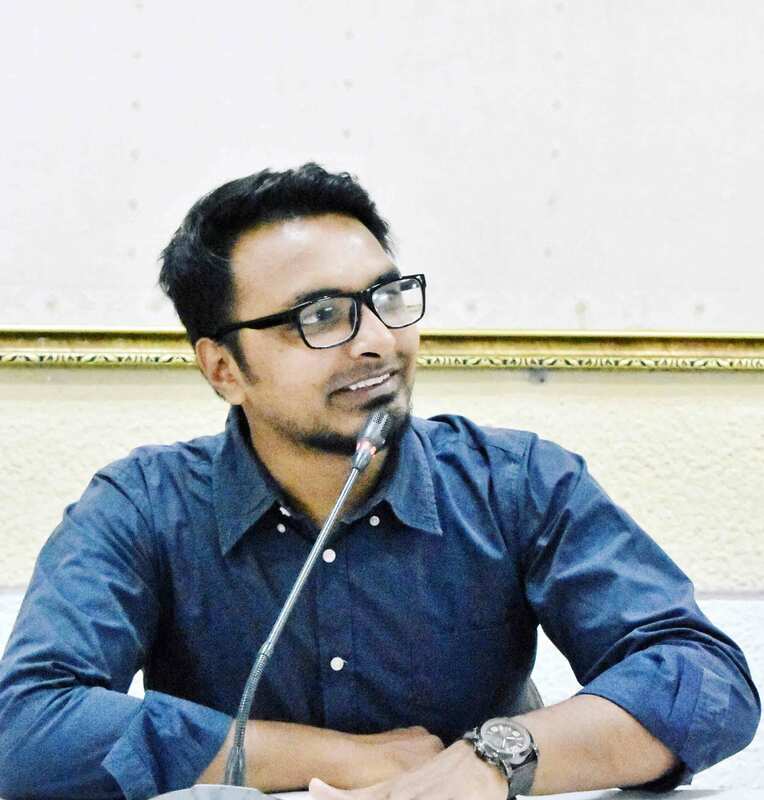 He has completed his bachelor and master’s degree in International Relations from the University of Dhaka and recently received another Master’s degree in International Migration from Germany, Norway, Check Republic and Switzerland under Erasmus Mundas Fellowship. Mr. Anas has been coordinating a number of research projects at RMMRU on labour migration, female migration, recruitment, governance and refugee issues. He is also active in global advocacy through different forums i.e. Global Forum on Migration and Development (GFMD). Mr. Anas led the youth delegates in last three GFMD summits in Istanbul, Dhaka and Berlin. He is also serving as the Regional Focal Point on Migration (South and Central Asia) for the UN Major group for Children and Youth. At RMMRU, currently he is in charge of a research project on the Social Cost of Migration on Left Behind families in Bangladesh. Ms. Sanjida Akhter is a Research Assistant at RMMRU, currently working in the project Social Cost of Migration on Families Left Behind. She has worked in two more research projects for last two years, these are Deltas, Vulnerability, and Climate Change: Adaptation and Migration also known as DECCMA and Impact of Migration on Poverty and Local Development, IMPD. She is incumbent of preparing and facilitating the field work teams for primary data collection with training, logistics, and communications. Besides, administering the survey and qualitative data is her responsibility too. She is also working on the stories of migrants that the field enumerators collected. She aims to be a researcher who would be able to contribute to the positive change in her society. Ms. Akhter studied International Relations at the University of Dhaka. She has pursued two qualitative types of research in the academic curriculum on Foreign Policy Decision Making Model in light of Bangladesh-Russia bilateral relations and on Climate Diplomacy Insights of Bangladesh. 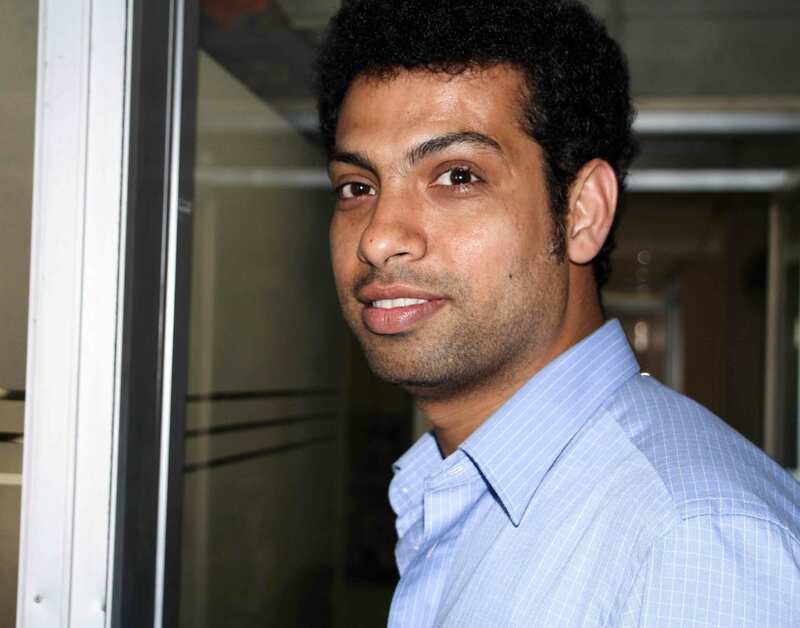 Tamim Billah works as a Research Assistant at the Refugee and Migratory Movements Research Unit (RMMRU). 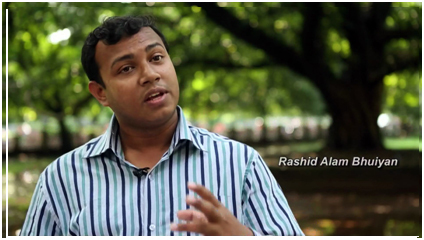 He graduated in English Literature from the National University of Bangladesh. Later, he received a professional Masters in Development Studies from BRAC University, Dhaka. At RMMRU, He works with an international collaborative research project- “Safe and Sustainable Cities: Human Security, Migration and Well-being’ in partnership with the University of Exeter, UK. His main responsibilities in this project include facilitating the implementation of the components of the project that include conducting research and communicating the research outcomes with relevant stakeholders to influence policies. Kamal provides technical support during official meetings and workshops, sets up conference and meeting rooms, and maintains the office premises. He is responsible for general secretarial tasks such as distributing documents to staff, managing office equipment, distributing mail and photocopying reports. Other duties include ensuring lights, AC, computers and water filter system are working properly. Kamal’s favourite places in Bangladesh are Dhaka, Chittagong, and Barisal. 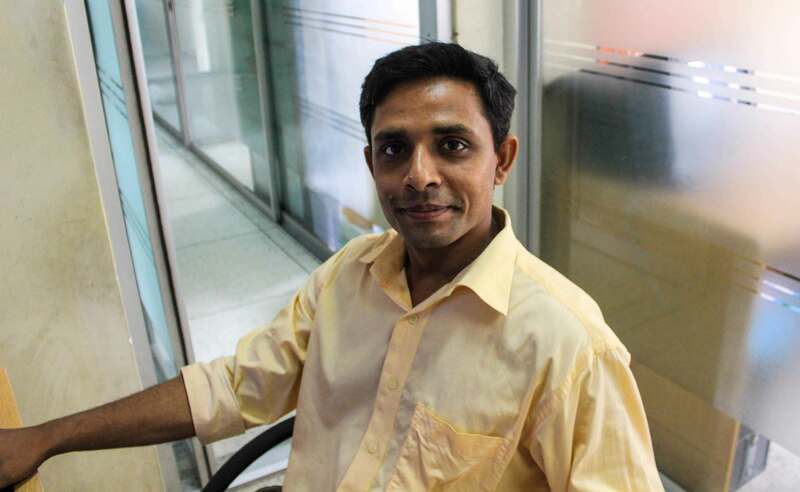 Parvez provides care-taking and cleaning duties for the maintenance of the RMMRU office. His responsibilities include photocopying documents, dispatching office documents, receiving incoming phone calls and corresponding with appropriate recipients. Parvez also gives support for RMMRU staff where needed. His favourite place in Bangladesh is the Sundarbans.